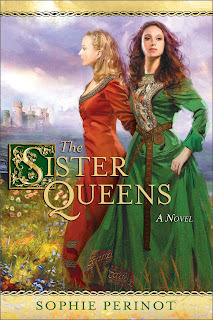 Earlier this week I read Sophie Perinot's fantastic historical fiction debut, The Sister Queens, and was taken with the unique setting and heroines. I'm excited to share my interview with her! Learn about her writing, her book, and what she does when she's not writing. I am not sure this was my FIRST foray into fiction, but I have very early illustrated picture book called Mustard Cream Pie. I found this little treasure in the attic when my parents moved out of my childhood home, and gave it to my kids for a laugh. In Mustard Cream Pie a momentarily unattended toddler “helps” his mother finish her banana cream pie meant for company by adding mustard from a jar his brother left on the counter after making a bologna sandwich. Riveting, I know. I had a thing for banana-fiction (new genre anyone?) as a child. In fourth grade my best friend and I created a collection of short stories called “Banana, Banana, Banana,” and you guessed it—the unifying theme between all our stories was the involvement of at least one banana. I can promise readers there are NO bananas in The Sister Queens. I try to write as if it were my job because it is. A few years ago I was fortunate enough to hear Bernard Cornwell speak at the Historical Novel Society Conference in Albany New York. Bernard emphasized treating writing as a profession. No excuses, no pleas of “writers block,” just get your bottom in your chair and put words on paper (or more likely on virtual paper). He pointed out that you don’t show up at your dentist’s office for an appointment to find that the Dr. has taken a day off with “dental block.” That image really worked for me. I’ll admit that during these heady immediate-post-release weeks my writing discipline has slipped. Then again, I am devoting lots of time and energy to promoting The Sister Queens and that’s a big part of the author job description these days. So perhaps I can still claim I am behaving professionally (at least I am going to try). Was The Sister Queens the original title of your book? As you were writing The Sister Queens, was there a particular scene or character that surprised you? The surprises tend to happen during the research phase rather than the writing (though characters inevitably say and do things I didn’t plan on). One of the greatest things about writing historical fiction is discovering people and events previously unknown to me, or discovering new things about people and events I thought I knew backwards and forwards. For example, in researching and writing The Sister Queens I discovered and had a chance to learn about the trobairitz—the first female secular poets/composers in the western world. Though they are only mentioned in an off-hand comment at the beginning of the finished book, I feel personally enriched by the research I did into these extraordinary Occitan women. 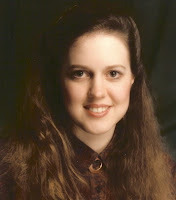 Later in my HFVBT blog-tour I will be doing a guest post to share some of what I learned with readers. Like Lauren Willig, Catherine Delors, and Carol K. Carr, you're a lawyer-turned-historical novelist. Is there something in the training and work that invites a foray into historical fiction? I am not sure that being an attorney gives rise to a desire to be an author but, if an individual already has that desire, I am convinced the law develops certain personal traits that can contribute to writing success. Precise language is absolutely essential to the successful practice of law. A lot of people do not realize that, but it is. Also, law is a business of deadlines. Miss a deadline while working at a big firm and you are out of a job. So lawyers develop self-discipline or they fail. A facility for word choice, self-discipline and the ability to meet deadlines are all skills that come in very handy in a writing career. Like most women I know, I don’t have a lot of spare time. When I am not writing I tend to be doing things I actually don’t like all that much (laundry anyone?). But, household chores be darned, I DO make time every evening to hang out with my kids (even if, in the case of my youngest, that means watching a children’s movie on video for the nine-millionth time) and my husband. When I find myself in possession of a chunk of guilt-free free-time (try saying that ten times fast) I am likely to creep off to my glass studio, fire up my torch and make some glass beads. I don’t read while I am writing. It is simply too easy for me to absorb the rhythm and tone from a book I am reading and imprint them on the novel I am writing. Finding the right “voice” for a book is tricky. When I start a new project I wait—breath held—for the moment my characters spark to life and start talking and acting on their own. Once that happens (and it always feels like a miracle) I don’t do anything to make my characters angry. Before I started my wip I finished Kate Quinn’s latest (Daughters of Rome), and believe me, anything by Kate is well worth reading. I also galloped through Madame Tussaud by the incomparable Michelle Moran, and enjoyed Elizabeth Loupas’s debut (The Second Duchess). All three of these marvelous historical writers have new novels coming out shortly, and I am certainly looking forward to them! Next on my TBR pile, however, is The Crown a historical mystery by Nancy Bilyeau. Nancy is a fellow member Book Pregnant—a group of thirty diverse debut authors who’ve banded together to support each other though our “first book” experiences. Check out the other blogs on the tour for more reviews. Learn more about Sophie Perinot at her website, on Twitter, and Facebook. I'm thrilled to offer a copy of The Sister Queens to one lucky reader! To enter, fill out this brief form. Open to US readers. Ends 3/23. Great interview! I love that she makes glass beads. How fun! Thank you -- and I know! It's such a cool hobby! I too would be unable to read and write a book at the same time. Making glass beads sounds so fun!! Great interview! I like the idea of treating writing as a profession - I'm still working to develop a solid writing ritual that's not dependent on the muse. I don't think I could not read while I was writing, although I do tend to read a genre other than the one I happen to be working on. Glass beads sounds like such fun! This was a great interview, and I love the story about the banana fiction. I would also love to get a look at some of the glass beads that Sophie makes. I am a huge sucker for glass work of any kind. Sophie -- thanks for popping by, and for answering all my questions! This looks to be up my alley. Everything I have seen on the Twitter buzz would lead me to believe I should read. Great interview. I loved the discussion about how being a lawyer gives you traits that you can use as an author! Can't wait to read this book - hopefully this weekend!